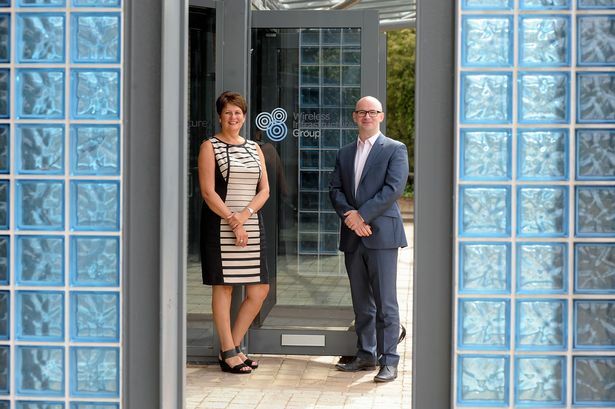 A communication infrastructure company has expanded into the West Midlands at Blythe Valley Park. Wireless Infrastructure Group (WIG) develops, owns and manages communications infrastructure on a wholesale basis that can be used by multiple wireless operators at the same time. The company operates more than 2,000 communication towers and sites across the UK used by mobile and other network operators. The company also builds state of the art networks for large venues such as MediaCityUK, intu Trafford Centre and intu Merry Hill. WIG has launched a new operations centre at Cornwall House on Blythe Valley Park, with a 20-strong team based out of the 2,500 sq ft unit. The company also has bases in Scotland and the Netherlands and is backed by Northern American infrastructure investors. Scott Coates, chief executive of WIG, said the company has grown significantly over the last five years and has major plans to invest further in new network infrastructure in the UK and Europe. "We&apos;ve experienced a significant increase in activity over the last 18 months, during which time we have also launched a business in the Netherlands and continued to invest further in new network infrastructure," he said. Coun Ian Courts, cabinet portfolio holder for economic development and land, added: "Wireless&apos;s decision to come to Solihull confirms that the area remains a leading location for high-tech companies. Solihull&apos;s position on the international map looks firmly set for the future as a place to live, work and invest."